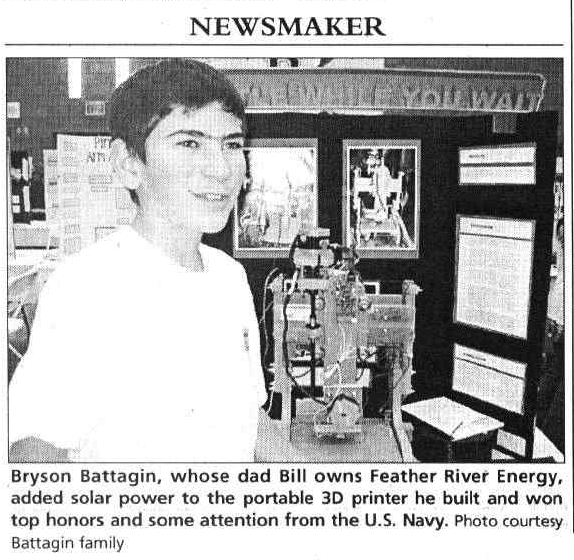 We are excited to announce that Bryson Battagin is being recognized for engineering a solar powered 3d printer. Bryson was a member of the small student team that we worked with during our Fall 2011 Makerbot workshop at Indian Valley Academy. Go Bryson!